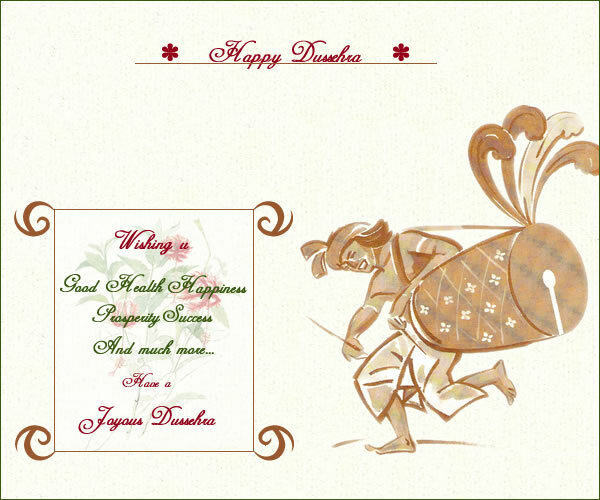 Today is the festival of Dussehra. It is mostly celebrated in West Bengal and in the northern region on large scale. Celebrated in different ways in the regions but it has a common thing, common thought to tell us. Good always wins over bad. Evils are always defeated no matter how powerful they are. The motive of the festival is to turn spread the goodness and increase the faith of peoples in good. In West Bengal, It is celebrated as Durga Pooja. This starts nine days before Dussehra. People gather together and play dandiya which is also popular in Gujarat. In Gujarat it is celebrated as festival of Navratri. Gujarat has one more reason to celebrate as the Tata Nano project shifts to Sanad. In the northern regions like Uttar Pradesh, effigies of Ravana, Meghanath and Kumbhakarna are burnt to celebrate the victory of Lord Ram. Hence it is also known as Vijayadashami.